A fierce, momentous national emergency is confronting Nigeria now—the emergency of President Buhari’s physical and mental incapacity to govern. This concern should transcend partisan political loyalties because it strikes at the very core of the urgency for national self-preservation. One of the conversational partners, she pointed out, “said the stress of the campaign for the presidency would only cause him more harm than good.” We have seen precisely that in the last few days. Although it’s easy to dismiss Atuejide’s article as a partisan, ill-natured whispering campaign, it’s not. I have known this for a while. On November 23, 2018, for instance, I tweeted that a doctor who has met Buhari during a personal, non-medical visit told me he was troubled that Buhari appeared to evince tell-tale symptoms of dementia (of which Alzheimer's disease is a type), which is often characterized by repetitiveness, unawareness, mental deterioration, impaired memory, diminished quality of thought, slurred speech, and finally complete helplessness. That’s why neurologists call dementia "failure of the brain." A friend whose dad has dementia and who has also met Buhari in the recent past had earlier told me Buhari reminded her of her dad whom she forced to retire, adding, sadly, that Buhari’s dementia is way worse than her dad’s is. She was, and still is, concerned that Nigeria has no president. She's right, and the evidence stares us every day. Buhari barely has any awareness of his existence, much less the requirements of being president. 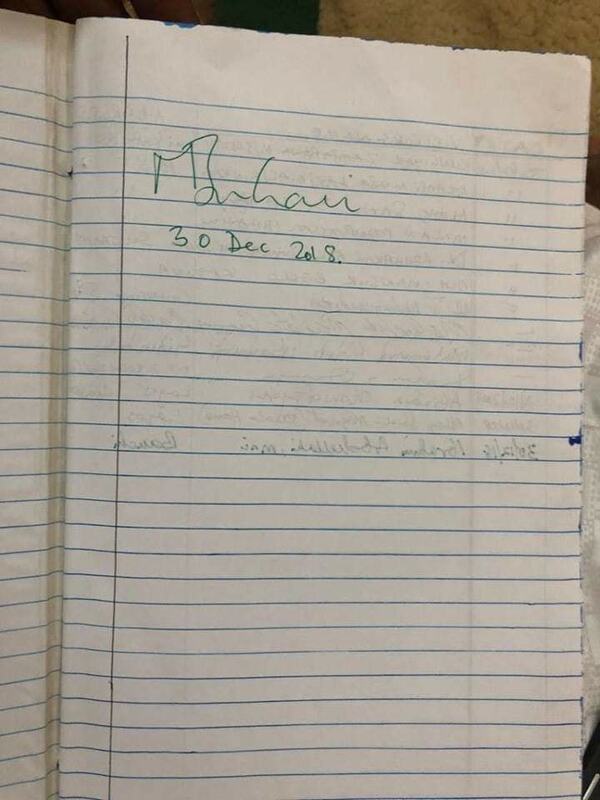 In the cringe-worthy December 25, 2018 Christmas carol he sang with Vice President Yemi Osinbajo and APC chairman Adams Oshiomhole, it was obvious that Buhari had no clue who Oshiomhole was. He shook hands with Osinbajo after the carol but ignored Oshiomhole. When Oshiomhole extended his hands to shake to him, he looked at him with a quizzical eyebrow and appeared to be asking Osinbajo who Oshiomhole was. In the video, we see Osinbajo pointing to Oshiomhole in ways that suggest he was introducing him to the president. A viral internet message by a diasporan Nigerian in France who attended Buhari’s interactions with the Nigerian community in Paris on November 12, 2018 during the Paris Peace Summit said Buhari had not the vaguest awareness who Abike Dabiri-Rewa, his Senior Special Assistant on Foreign Affairs and Diaspora, was. He openly asked who she was. No one was allowed to record the interaction because the president’s minders knew awkward moments like that would arise. Buhari’s problems aren’t mere “senior moment” problems that I wrote about in a widely shared June 20, 2015 column titled “Criticizing Buhari Over ‘President Michelle of West Germany’ Gaffe is Ignorant.” In fact, the doctor who told me he strongly suspects Buhari has dementia (and possibly Alzheimer’s) read my 2015 article where I explained away Buhari’s “Michelle of Western Germany” gaffe as an age-induced memory lapse, which is informally called senior moments in America. He said it was beyond that. It’s a clear case of progressive, irreversible cognitive decline. He also didn’t remember when he was Petroleum Minister. “Since 1984, or 78 to 79 when I was the Minister, I never lost interest in the petroleum industry,” he said in Delta State. Well, he was appointed the equivalent of a Petroleum minister in March 1976. 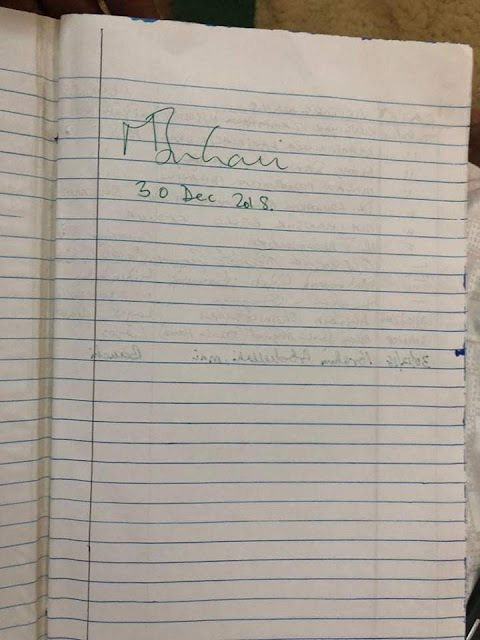 Recall, too, that when he visited the family house of the late President Shehu Shagari to commiserate with them over the death of their patriarch, he didn’t have the presence of mind to write anything on the condolence register; he just signed his name and couldn’t even get the date right. 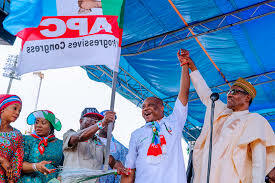 He slumped at a campaign rally in Lokoja, the Kogi State capital, but, curiously, his aides who caught him didn’t seem fazed, indicating that this is a fairly habitual occurrence beyond the glare of cameras. He also slumped onto a couch during a campaign rally in Kaduna on Friday. That’s evidence of weakened motor skills, which doctors say is another symptom of dementia. People around the president are intimately familiar with his considerably diminished sentience and his notoriously declining short-term memory. As a consequence, he is being taken advantage of by several people close to him. Aso Rock insiders say Buhari doesn't remember anything, so no one even obeys his instructions--if he gives any at all. The last person to see him gets him to do whatever they want. Someone from the Presidential Villa told me it’s precisely because of this fact that governors frequent the Villa several times in a week; they are in a race to be the last people to see the president before he takes decisions and signs off on them. He should go and rest, not rule, because he is actually ruining, not ruling, Nigeria. People who matter in Nigeria should rise superior to partisanship and save the country. 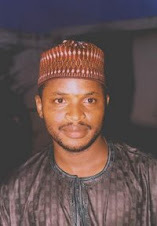 The late President Umar Musa Yar’adua’s example is too recent for us not to learn any lesson from it. American journalist Alvin Toffler once said, “If we do not learn from history, we shall be compelled to relive it. True. But if we do not change the future, we shall be compelled to endure it. And that could be worse." I hope the right thing is done before it’s too late.